They want you to think your idea for innovation won’t work. 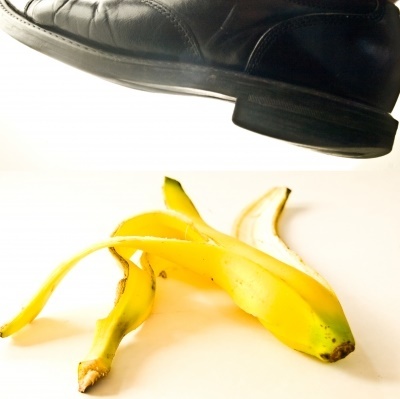 The evidence and reasons for failure surround you: the bureaucracy, the politics, other departments throwing banana peels in your path, the irrational market – it’s enough to convince you that your goal is impossible. Scoff at such notions. Trust your instincts. 1. Given the circumstances, what is the best we could ever do? 2. What strengths do we possess that enable us to persevere? 3. In what ways have we proven ourselves resilient, agile, and capable in similar situations? Loudly reject the claims of cynics. They speak a language based in fear, designed to intimidate and blur your vision. They want to release themselves from future responsibility, from the fear that they may not be perfect. Excellence isn’t found in generating the perfect idea or solution, but in using your wisdom to deliver – and discover the possibilities. When your instincts give you courage and inspiration, trust them.